Glimpse the ancient India heritage and snoop royal love stories of Rajputs and Mughal emperors. 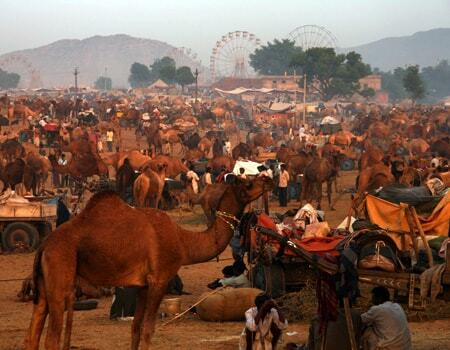 The king of pilgrimage sites, Pushkar stirred with the marvellous Taj Mahal and pink city. Delicacies of history and heritage in one platter. Camel safaris in the outskirts of desert area, Pushkar. 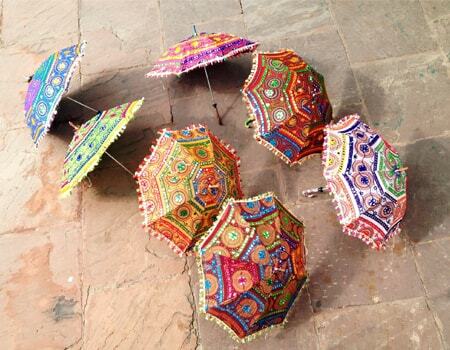 Take a feel of Indian culture and live into Indian history of Mughals and Rajputs. Participate in Indian culture celebration, a blissful encounter. An appetite friendly tour as many year old recipes to relish your tooth buds. Perfect idea for all the shopaholics out there. Combination of 1000 faces in one Delhi. This huge & highly populated city housing a net of approximately 16.3 million people is the centre of all activities and possesses various facets. Whether its industry, democracy, politics, education, health, judicary, parliament, old forts, palaces, historical monuments or any other place you can think of, you will find it in Delhi. Its most interesting part is the co-existence of all humans in peace irrespective of castes, religions, cultures & class. The heritage of Taj & sweet of Agra. The perfect depiction of Uttar Pradesh is the seat of the extraordinary & incredible Taj Mahal, Agra city. However, Taj Mahal is just one of the endless things one can look forward to in this adventurous capital. 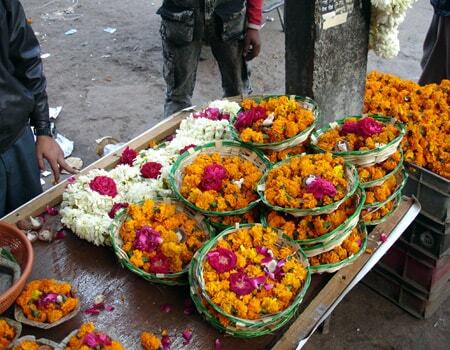 “Agra Petha” (a cold soft sweet), walks in the forests and farms surrounding the Taj, a nice walk in the old Agra city indulging in some fresh “Murga Masala Tikka” (chicken curry) followed by “Kulfi” (Indian specialty ice cream) and “Masala Tea” are few tips on how to make the best of Agra. The famous Lassi (sweet curd) of MI Road Jaipur is the one thing every pink city visitor, whether local or international, has while on their Jaipur expedition. Especially during summers when the heat is at its peak, the best way to ease yourself is by having one big glass of this beverage. A tour of city palace & hawa mahal followed by walking in some traditional streets ending with nice spicy food is a day best spent in Jaipur. Pushkar lies at the shore of the famous Pushkar Lake which is the major reason for growth of Pushkar as a famous tourist destination. This city of lakes & ghats has become a pilgrimage site for Hindus due to the holiness of the sacred Pushkar Lake. Legend has said that this lake was created due to the drop of a lotus by Lord Brahma (considered creator of the universe) in a vale. Pushkar has recently ameliorated in terms of tourism because of renovation & opening of number of Italian eating places & other international specialty cafes. 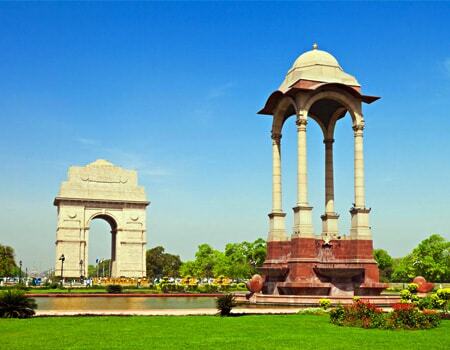 Clean & green Lutyen’s Delhi. Unwind your body by taking a long walk down to Lutyen’s Delhi where the cleanliness & greenery will blow your mind and the non-veg & sea food delicacies of Royal plaza restaurant will fulfill your appetite. The other option may be to do some sightseeing and then go for mouthwatering spicy streetside food, tasting the real flavours of India. Returning back to home with bunch of sweet memories. 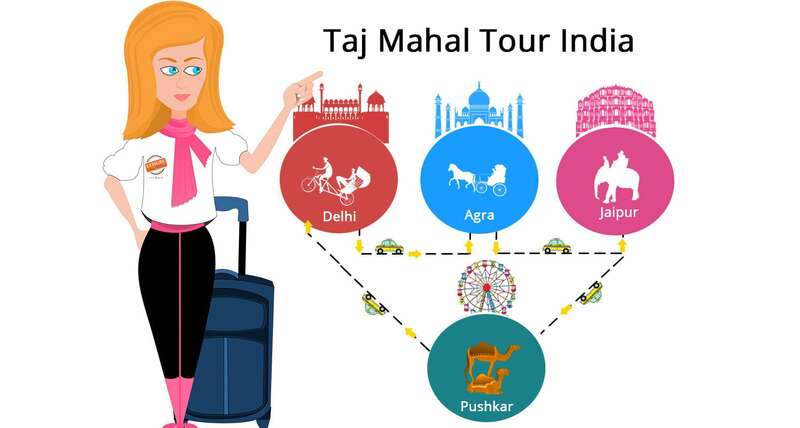 Our India Tour packages score an average of 4.82 out of 5 based on 187 reviews in the last year. Sightseeing schedules are well planned and organized. Most of the guides were professional and knowledgable. The best highlight of the tour is sitting and staring Taj Mahal in the evening. We are very happy with the services provided by LIH as they have tailored the tour in such a short time and has kept all the sightseeing attractions in the planned program. I have never seen any country with so many colors and traditions, would surely come back again!